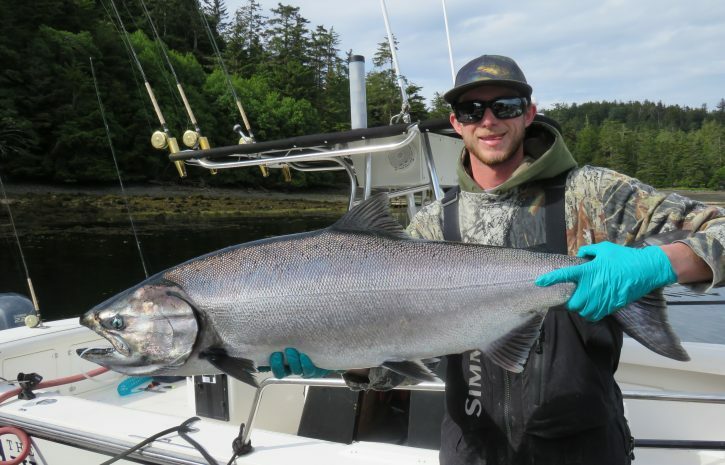 The first tyee hit our dock tonight, a 31 lber ! reeled in by Tara from our office…Tara teamed up with the Ryznar,s with Todd Sharfe providing the guidance, aboard boat 11. it was a rare wet day in here, with the light rain ending early afternoon. Winds were light, providing calm seas and nice conditions. 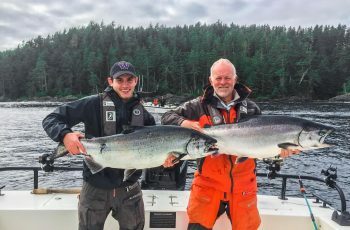 The fish was taken at Gunia, off the rigger at 70 feet. This is our early leader as top fish of the year, good going gang. 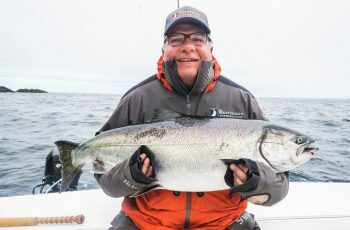 The early bite was sporadic, I fished the south side with guest Maurizio Capano, and his group fron Stuart Olson. 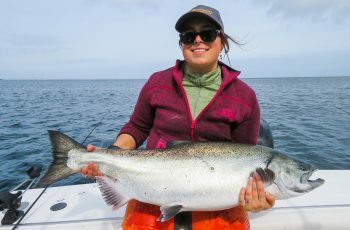 We had decent action fishing shallow, including a double header of chinook. Our fish were mostly mid to high teens, but we had three hours of action. 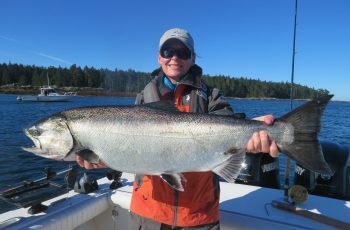 The boys spread out, nothing to speak of out west, and Coho had the lions today so that area was tough to fish. 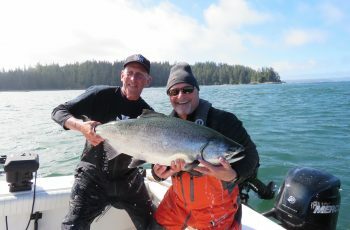 I saw Chutter hit a double of keepers off Boulder this afternoon, smaller fish but they dragged him around a bit. Kory snuck a couple over the transom early to ensure a first period of the hockey game. There did seem to be a bite before tide change, a few ducks diving and feeding, one brave rhinoceros auklet grabbed my setup and it was a chore to release with care. Those little birds are terrifying when on a hook screaming around on the floorboards.